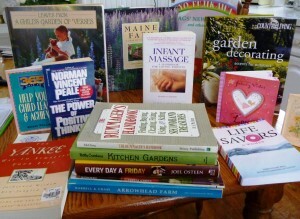 [/media-credit] All kinds of wonderful books can be found at the Friends of the Berkshire Athenaeum book sales! PITTSFIELD – The Friends of the Berkshire Athenaeum want your gently used books, movies, music, puzzles, games and more as they prepare for their summer book sale. The big event is set for July 11-13. Opening night is for friends members only, so if you haven’t plunked down your $10 individual membership fee, there’s still time, that way you get first dibs on the goods. Donations of books, CDs, DVDs, audio books, cassettes, VHS tapes, puzzles, games and so forth can be left at the adult or children’s circulation desk. If you have a huge quantity of items to donate, alert the library staff or Friends, who are available Monday and Wednesday from 9 a.m. to noon. There is limited capability for pickup if you are unable to bring your items to the Berkshire Athenaeum. Sorting and organizing for the sale will begin soon. In their spring newsletter, written by Ross Shuart, editor, it was noted that after a book sale, shelves must be thinned to make room for new donations. 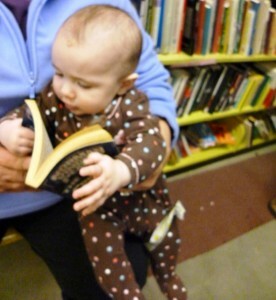 The Friends then look for organizations where they can donate books that haven’t sold. To date, he noted, books have been given to the Kiwanis Club for needy children, Berkshire Center of Children and Families, eight Head Start programs throughout the area, the YMCA and the Boys and Girls Club for their daycare and after-school programs. “Books also will be donated to supplement a local elementary school library, a fourth grade teacher’s classroom collection, an after-school program at a community school and a nursery school program and to the United Cerebral Palsy Foundation on West Street and Pittsfield Promise, an organization for disadvantaged children ages four-14,” according to an article in the newsletter. 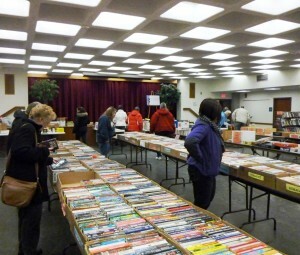 The spring book sale, which got the year off to a good start, made a total of $10,114. Nancy McNabb, book sale chair, stated in a newsletter article that the money will help a lot in supporing the Berkshire Athenaeum and its programs. The book chair thanked all the sorters and helpers who make the book sales happen. Mrs. McNabb said people from Soldier On will help customers at the sales out to their cars with purchases. The spring sale took place the weekend of a huge snowstorm. Florian Ptak, Friends chair, referred to library patrons as “an intrepid lot” in an article he wrote for the Friends spring newsletter. He also thanked people for their loyal support and noted that if anyone has any suggestions on better ways to support the library to contact him.